Thank you so much Paul. Looking forward to uploading the finished pictures of your kitchen. We appreciate your business and reviews. Thank you for your review. We appreciate your business. Glad we made your Dream Kitchen come true. Transformation from before and after looks amazing. Thank you Mr. Hillman for your business! We truly appreciate your review! We appreciate your business and kind words. 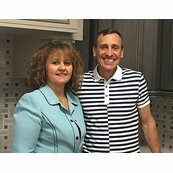 Customer satisfaction is our number one goal and happy to hear you are pleased with your kitchen remodeling needs. We value your business and customer satisfaction is our # 1 goal. Thank you for the kind words and your business. We enjoyed every step in getting your dream master bathroom designed and completed to your desire. Thank you for all your business and kind words.